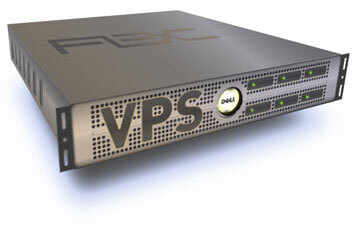 here are great benefits to switching to a virtual private server. This reliable and stable hosting system is secure for storing all your data, maintains the connectivity of your online presence and more. A virtual private cloud server will give you practically unlimited connectivity that will enable your system to cope with high traffic when you need it yet will not charge you during quieter periods. When it comes to choosing a virtual private server, you need to decide on the resources you need. Most companies offer Ram space of between 512 MB to 96 GB and an important point to consider is whether you can resize this without the need of rebooting. Having this vast sizing flexibility enables you to keep your costs down because there is no need to commit in advance. You can upgrade when necessary. If you have just switched to a virtual private server from a shared hosting plan, the advice is to start at the most basic level of 512 MB and resize when you need it. Alternatively, your company may be offering special introductory deals for ram space that may make this the most viable option. After all once installed, you can resize your cloud server if necessary. Your security is very important and your virtual private cloud server provider should be able to guarantee that all your data is protected and kept safe. All computer storage systems are rated in tiers according to the security they provide. Tier 1 is the lowest level and is a simple room hosting a server and tier 4 – the highest security level is designed to host mission critical systems and is often situated underground. tier-3 or tier-4 physical data centres, guarantees the highest security for your computer and storage resources. Your virtual private server should be easy to manage from your desktop. You should be able to use the web control panel to control and resize your cloud server whenever you need to and the whole system should be easy to navigate and manage. Essentially, you need to like the design and usability of the system. Your virtual private server needs to run on the operating system you choose and so support all the applications you need. Whether you need a Linux distribution such as CentOS, Debian, Ubuntu, Red Hat, Fedora, SUSE or OpenSUSE or need to support Windows 08. If you have any questions about this, the cloud server provider should be able to offer technical information and advice. One of the major considerations when choosing a cloud server is price. Although quality is paramount when it comes to choosing a virtual private server, you cannot afford to disregard how much it will cost you for the service. A company that offers a premium service and has a flexible pricing structure without tying you into a long-term contract is the best option. That way you can change if and when you need and upgrade or downgrade when necessary. iPad Mini Vs Kindle Fire HD 8.9 – Which One Is Better? Some good tips , you have listed.